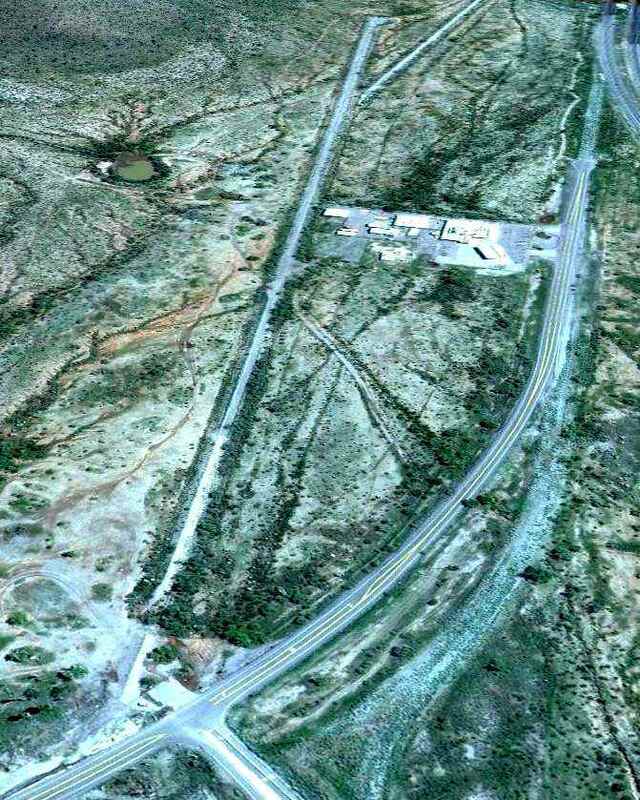 © 2002, © 2016 by Paul Freeman. 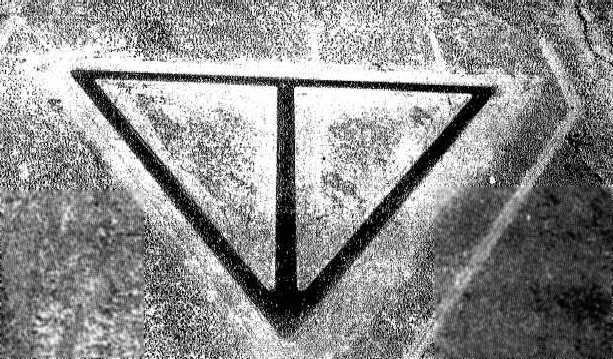 Revised 8/28/16. 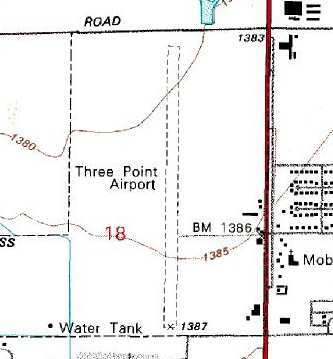 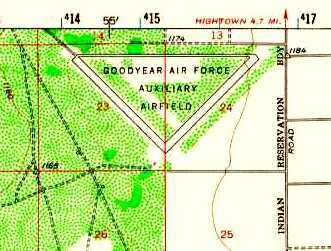 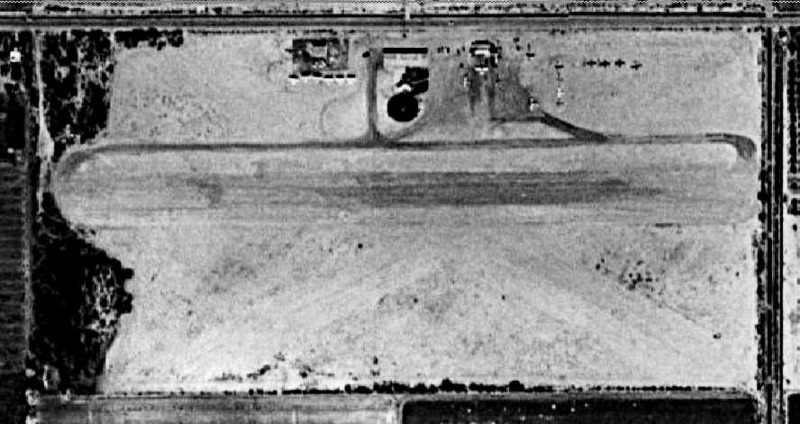 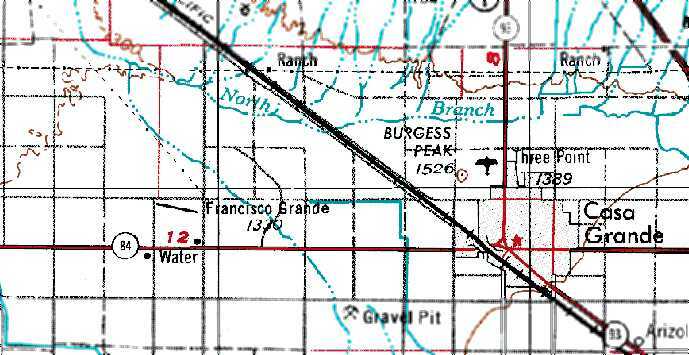 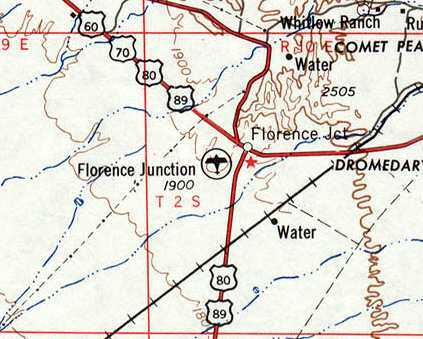 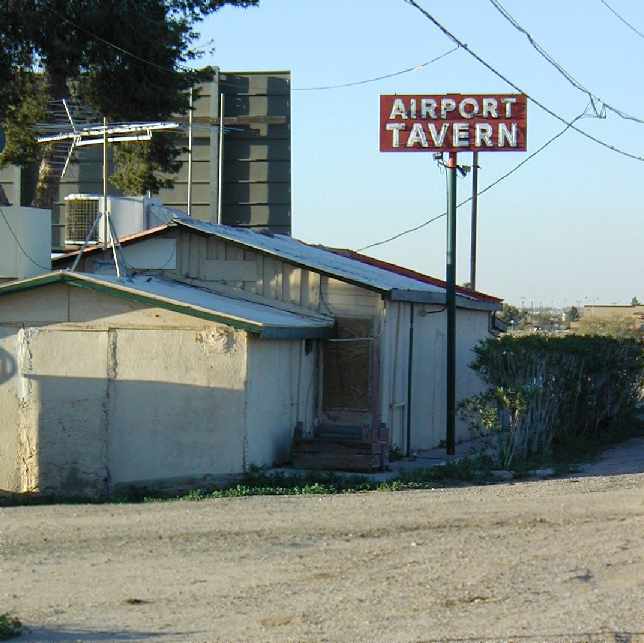 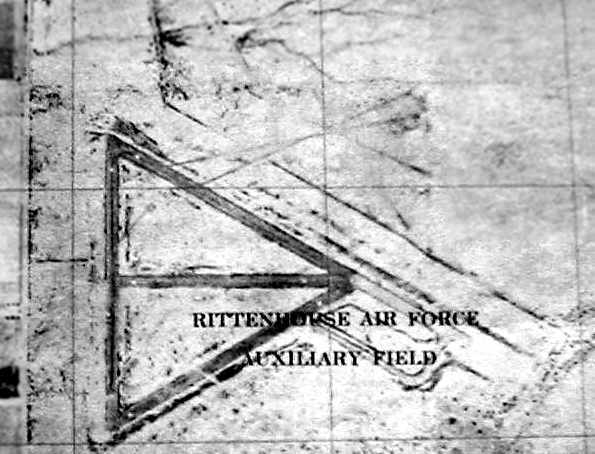 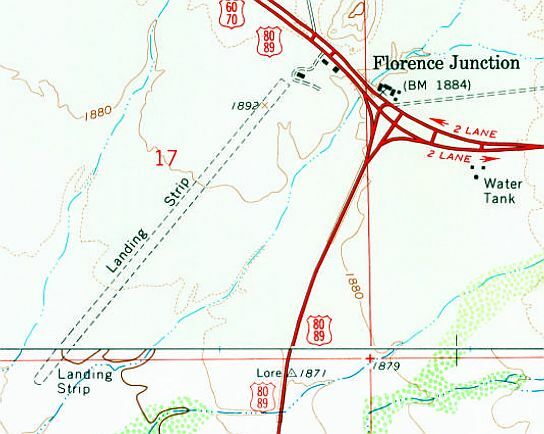 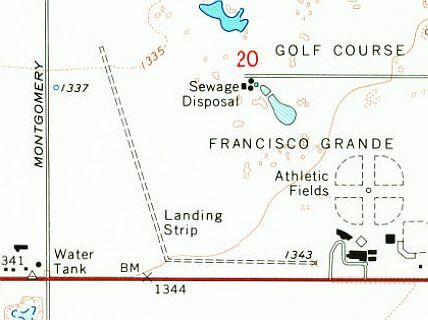 This 2nd location of Florence Junction Airport was not depicted at all on the 1966 USGS topo maps, nor on later topo maps. 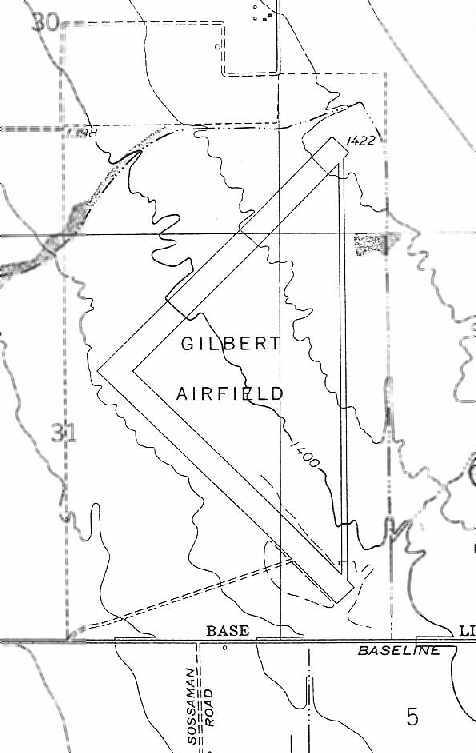 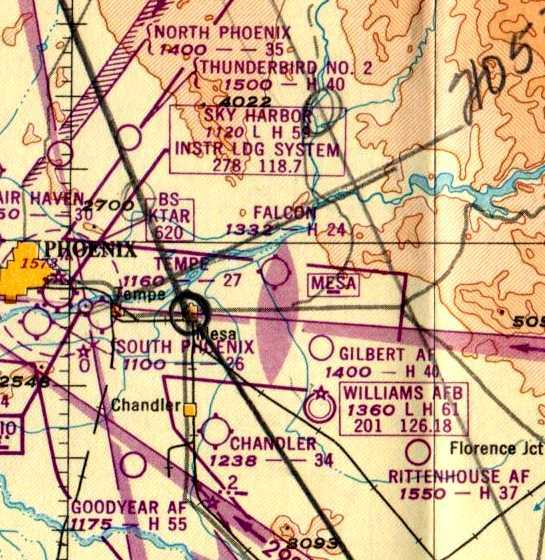 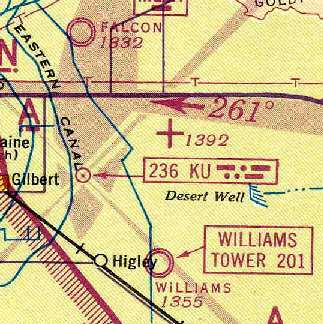 Tempe Airport, along with an amazing array of other airfields in the Phoenix area, as depicted on the 1947 Gila River World Aeronautical Chart. 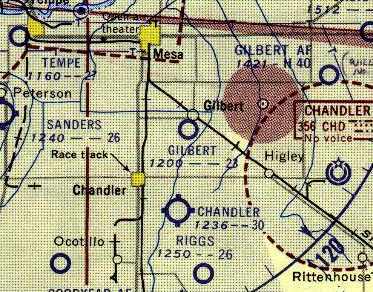 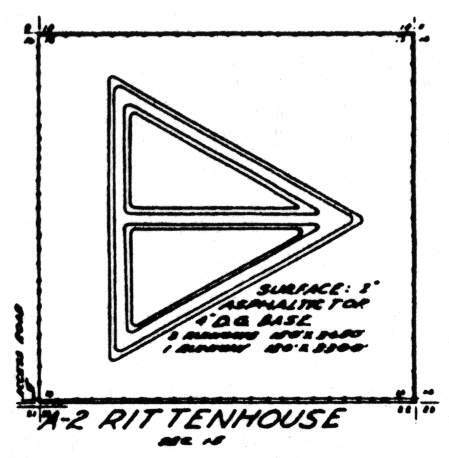 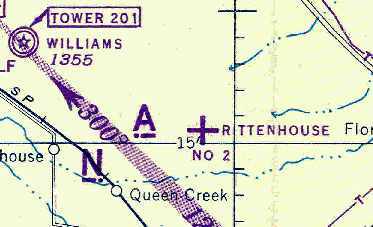 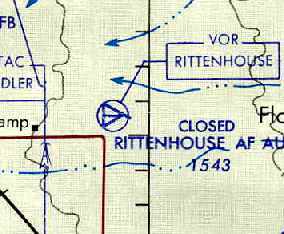 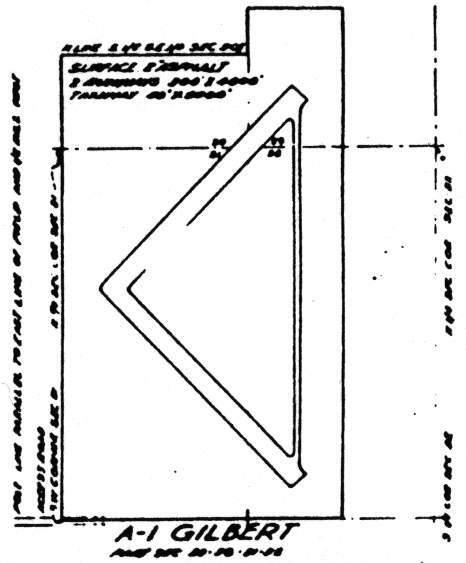 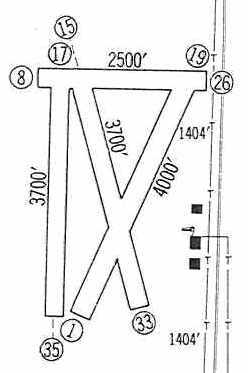 nor on the 1945 Phoenix Sectional Chart (courtesy of John Voss). 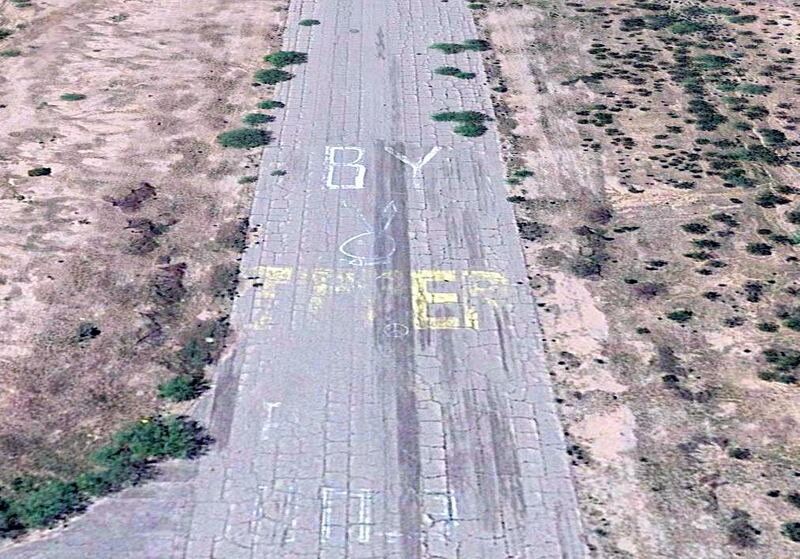 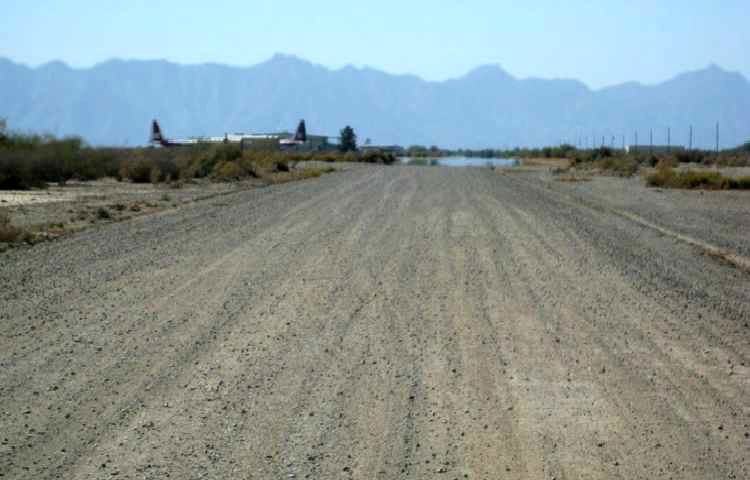 and had a single 2,700' east/west dirt runway. 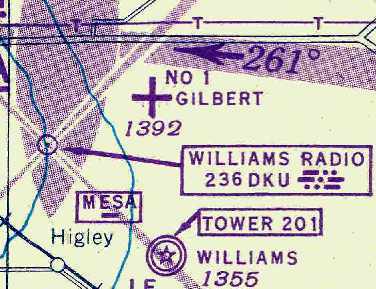 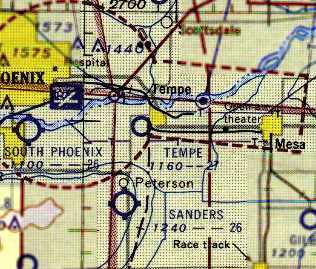 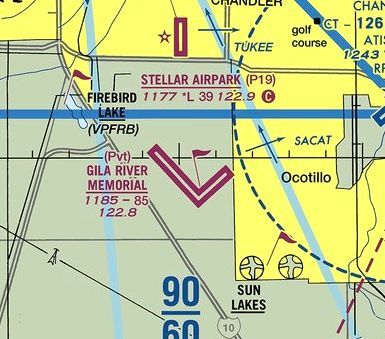 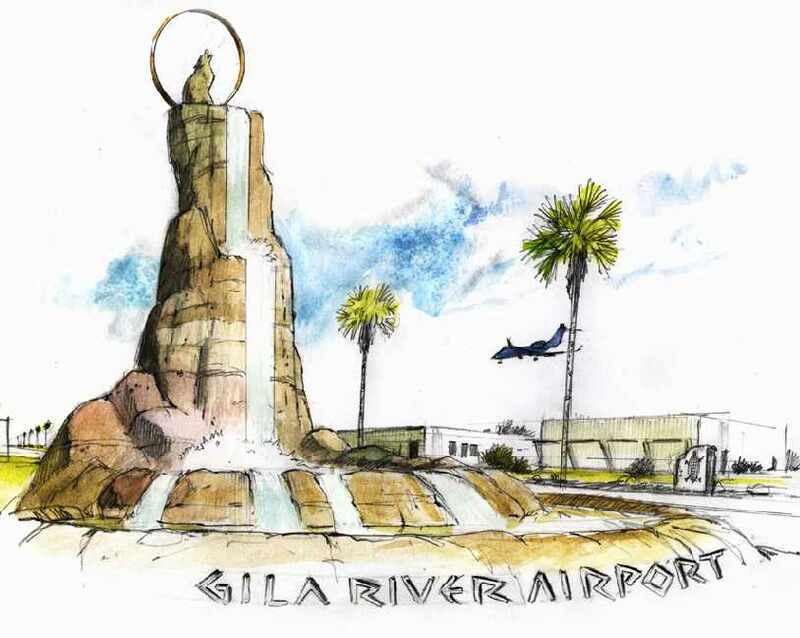 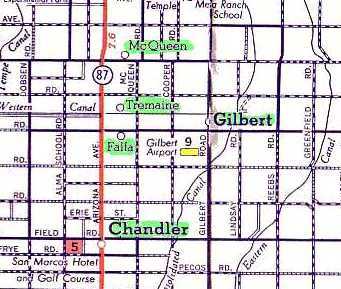 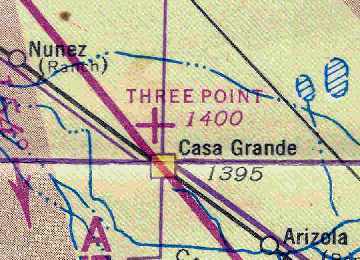 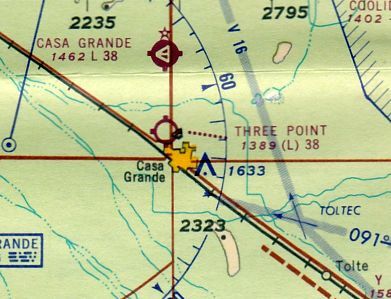 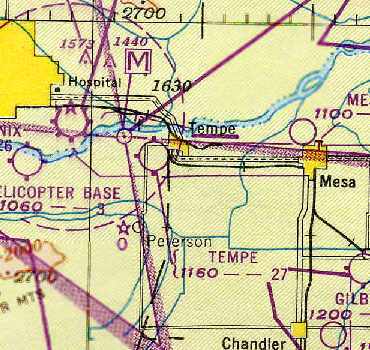 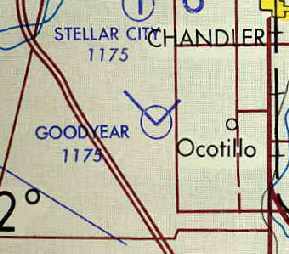 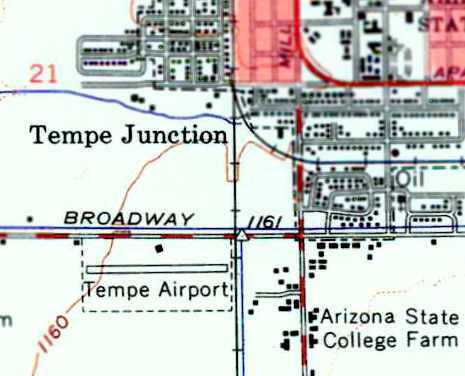 The earliest depiction of Tempe Airport which has been located was on the 1947 Gila River World Aeronautical Chart. 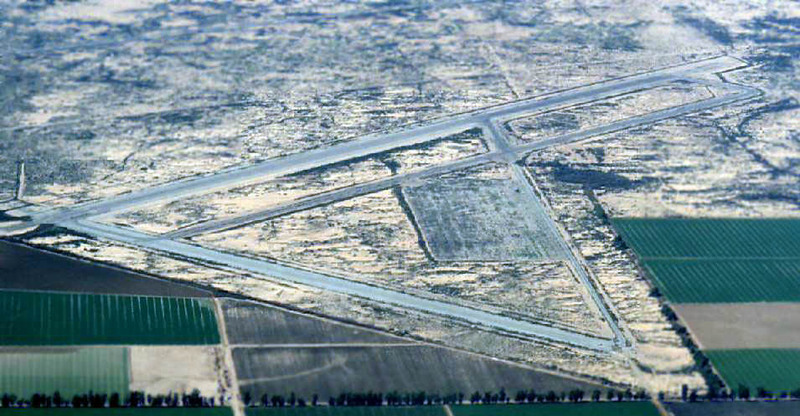 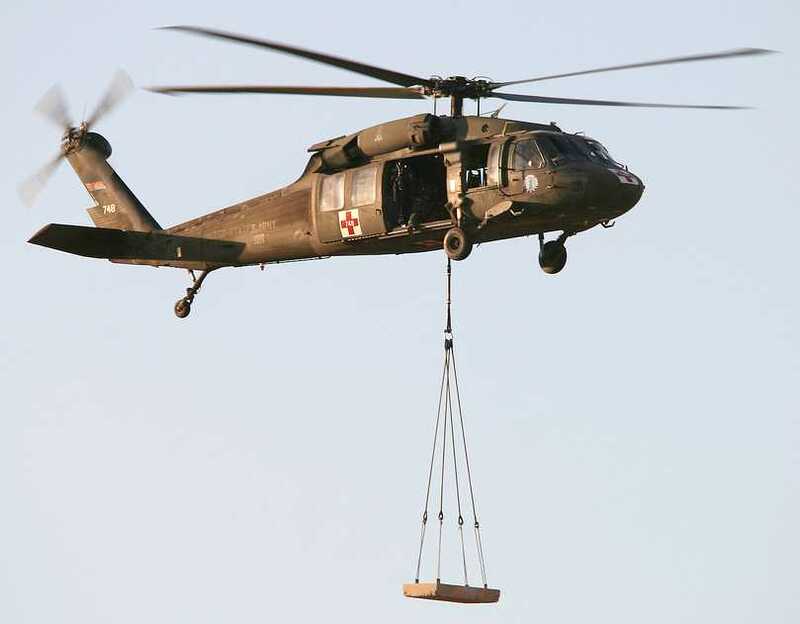 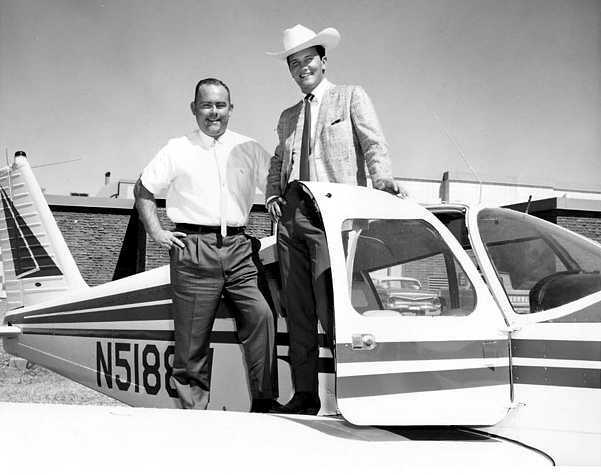 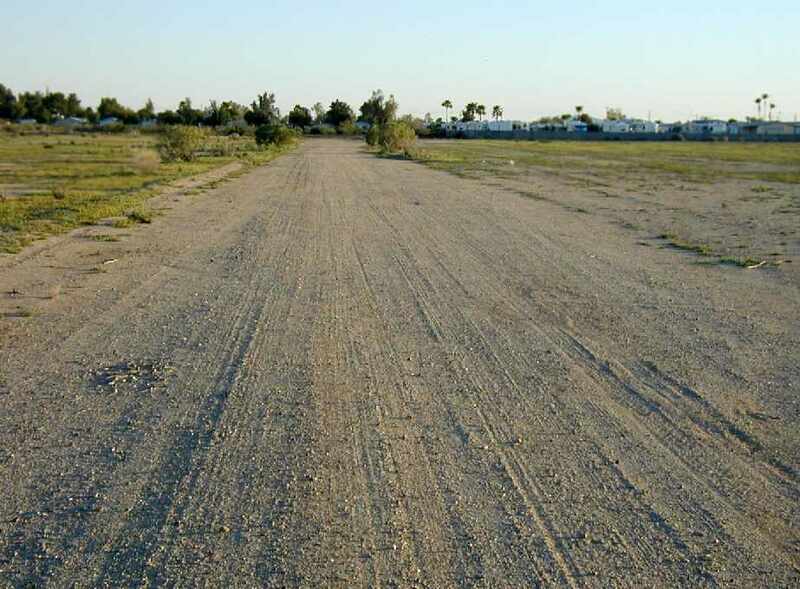 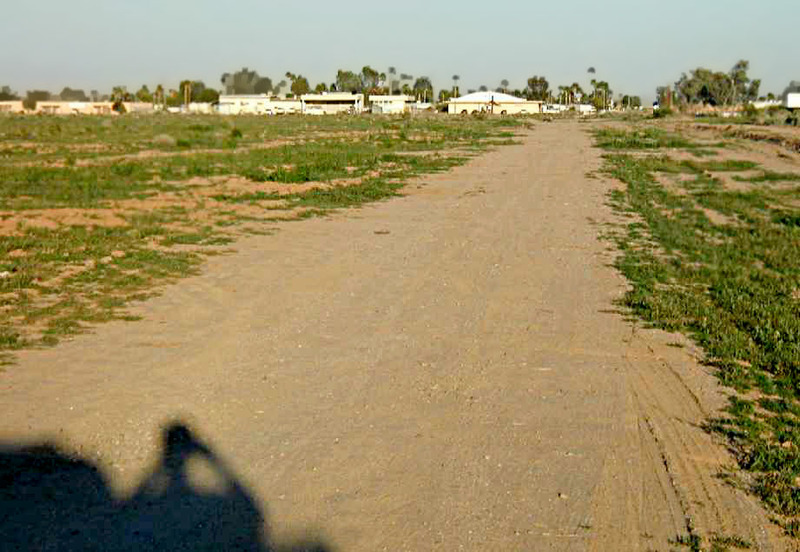 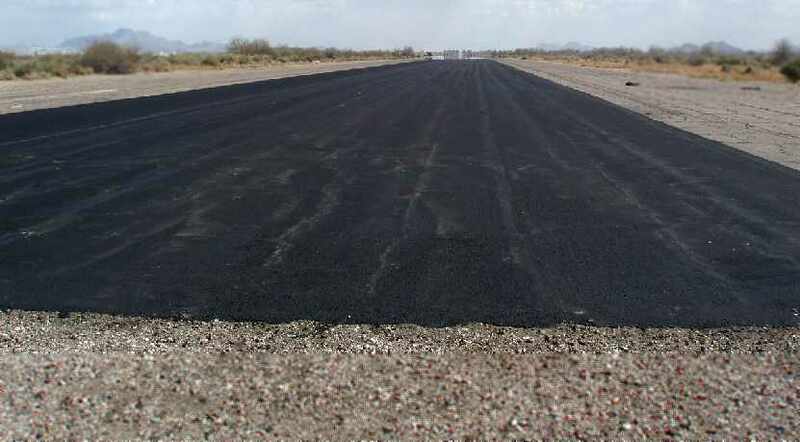 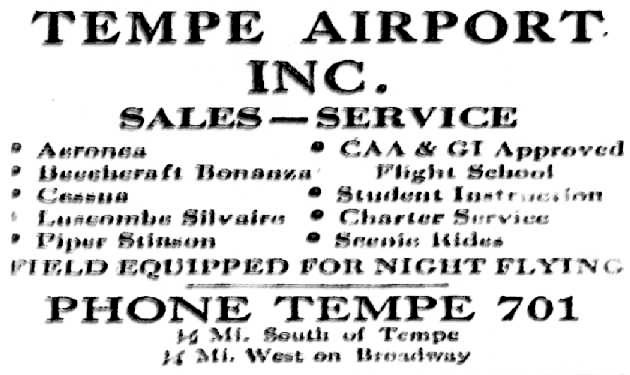 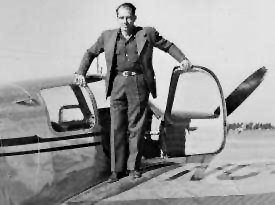 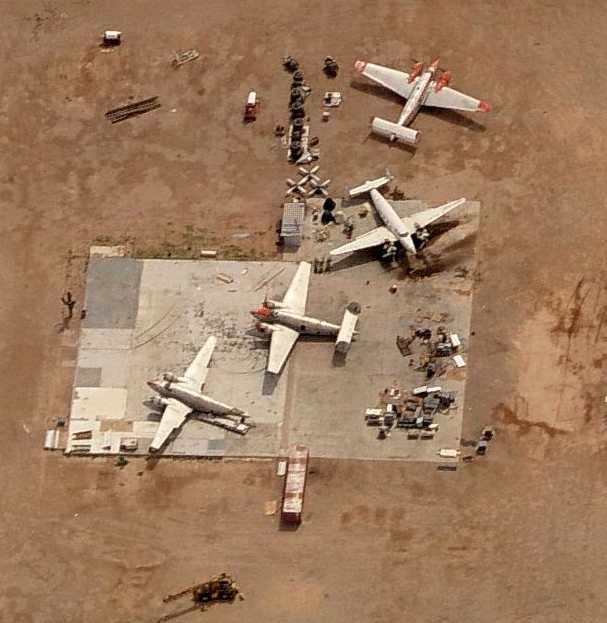 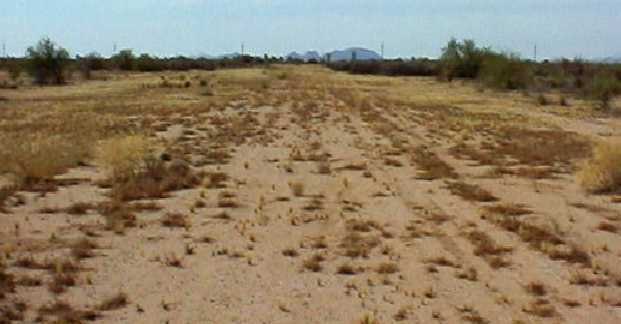 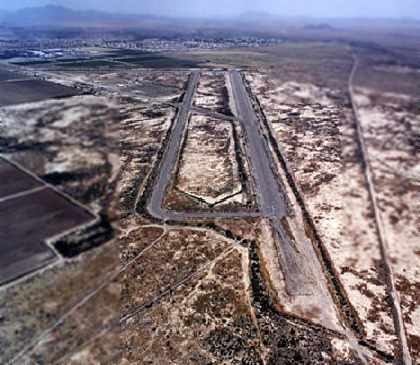 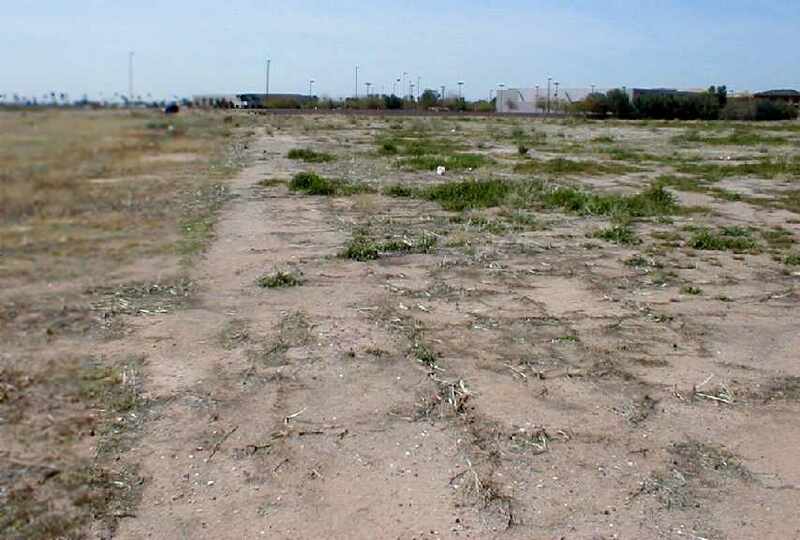 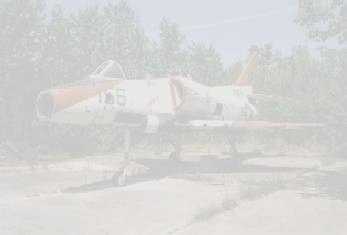 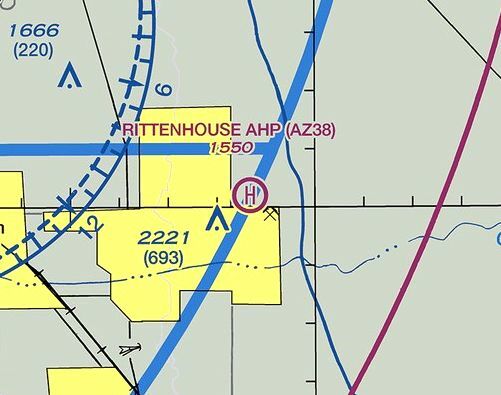 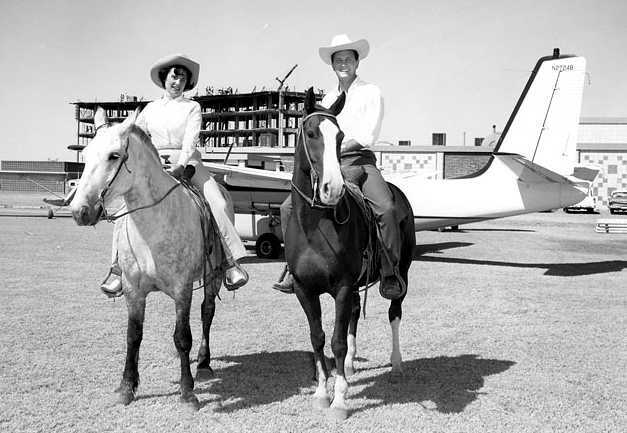 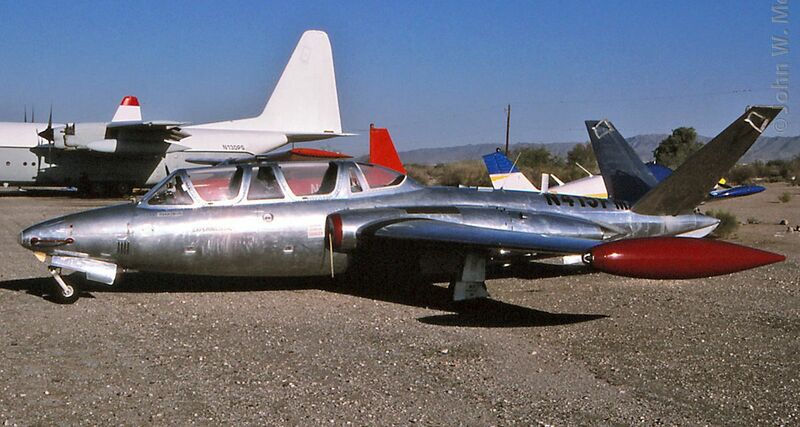 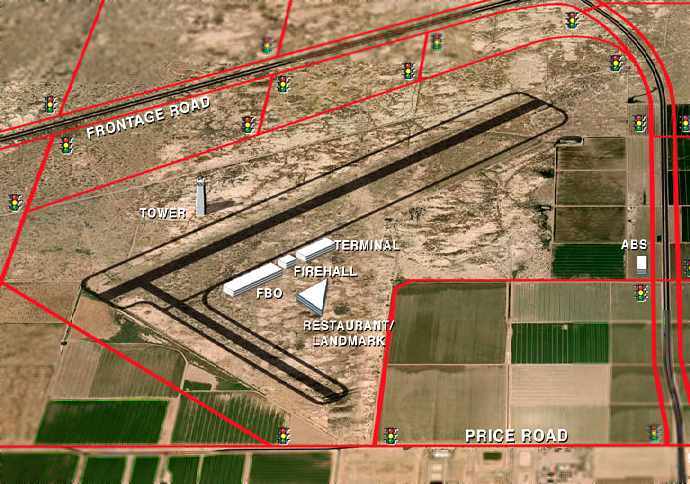 It depicted Tempe as having a 2,700' unpaved runway. 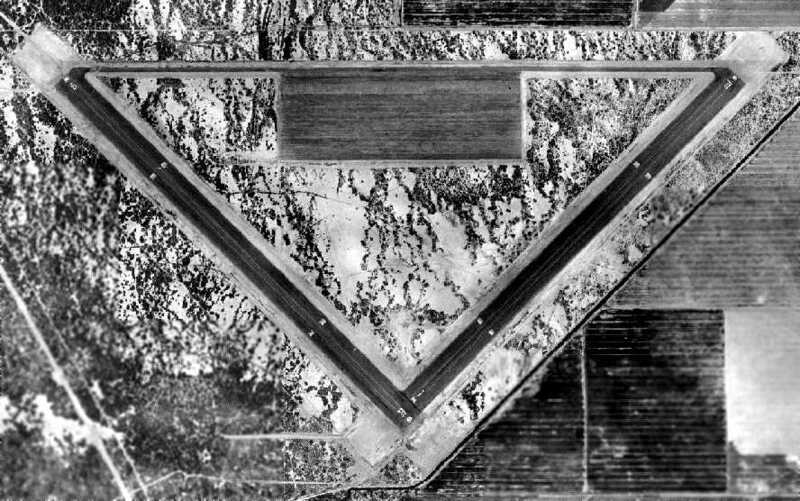 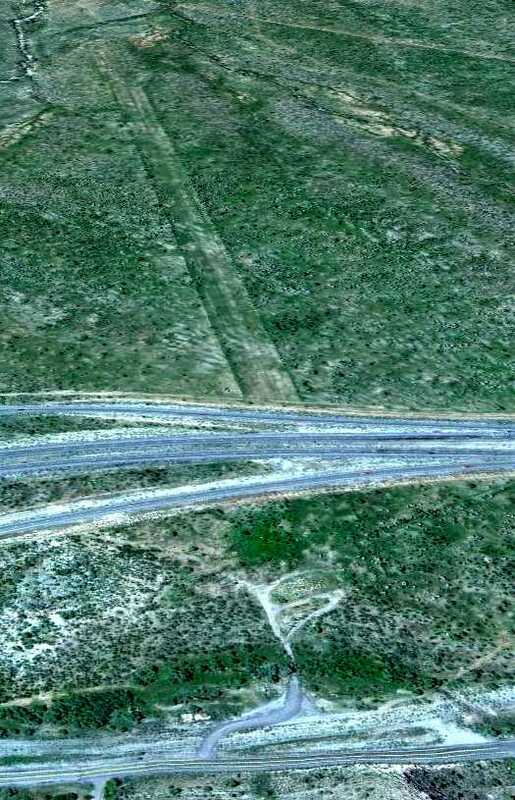 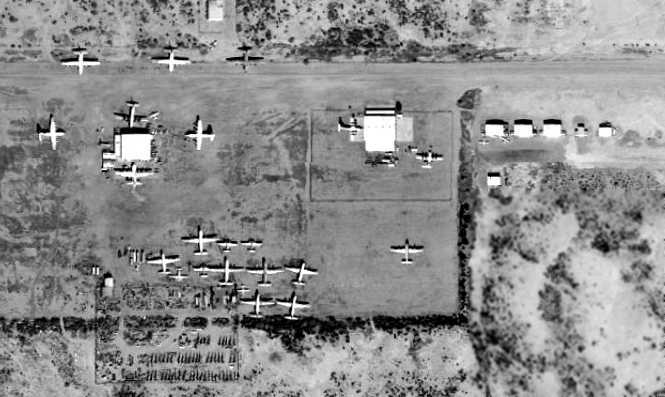 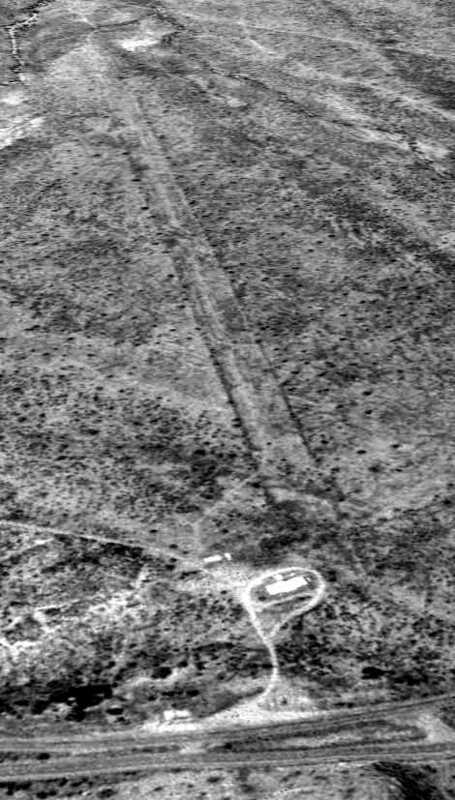 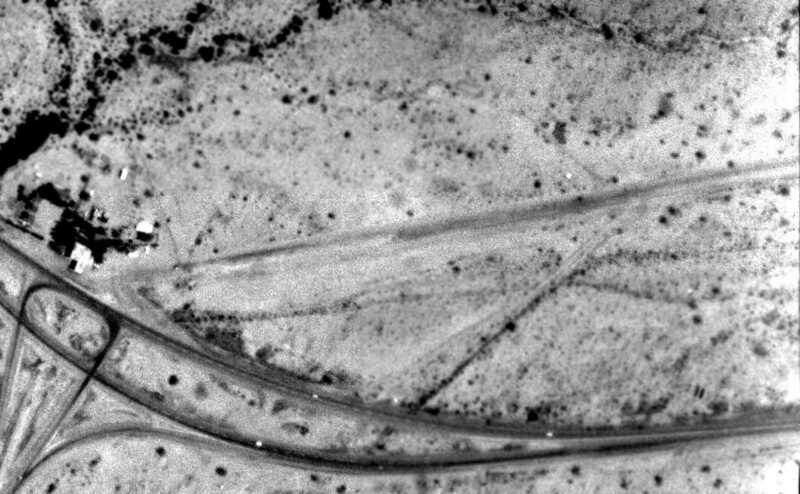 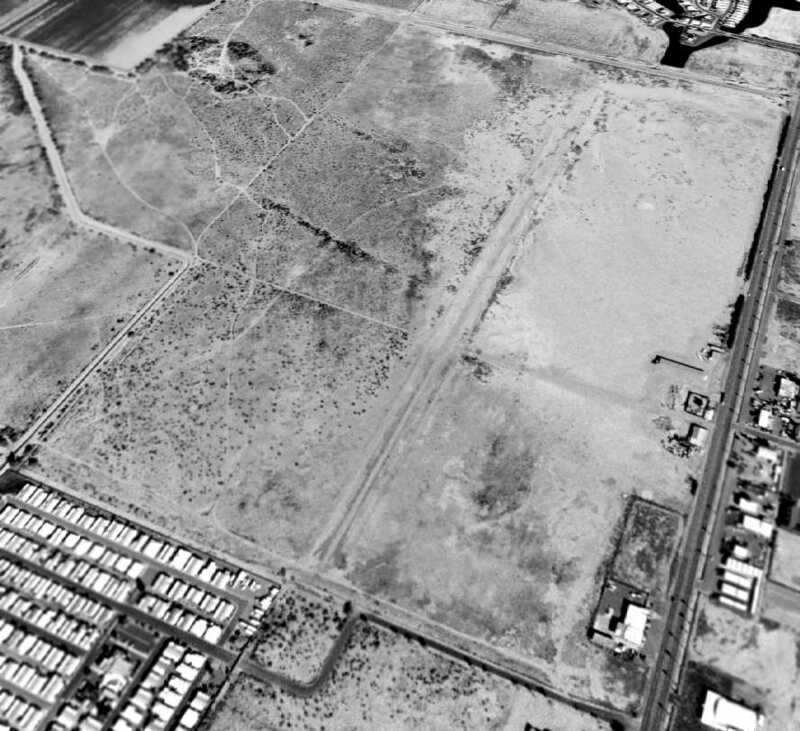 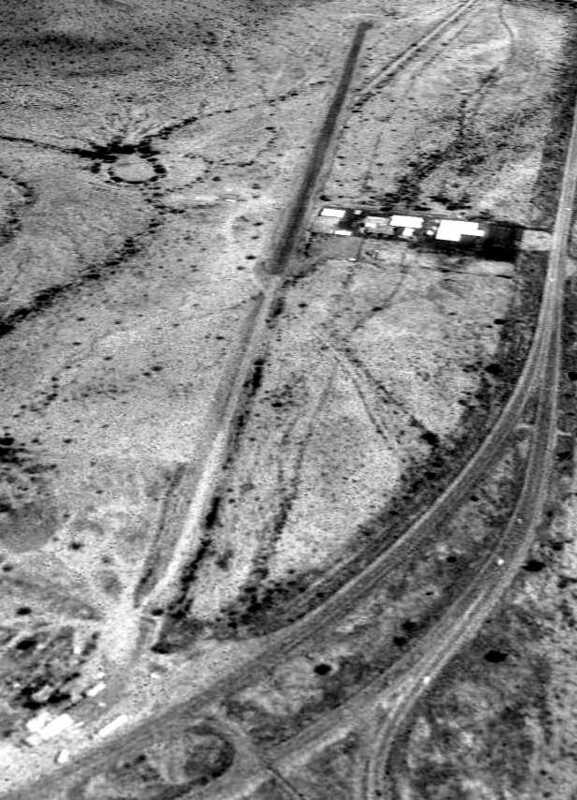 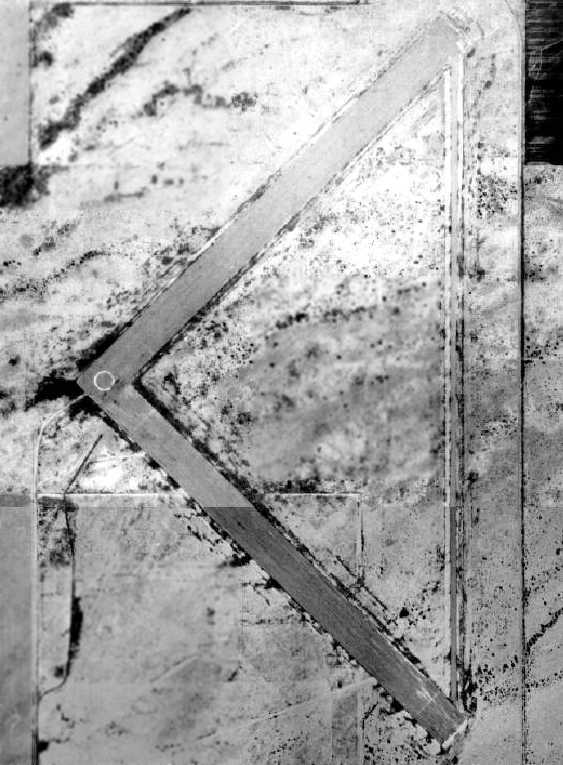 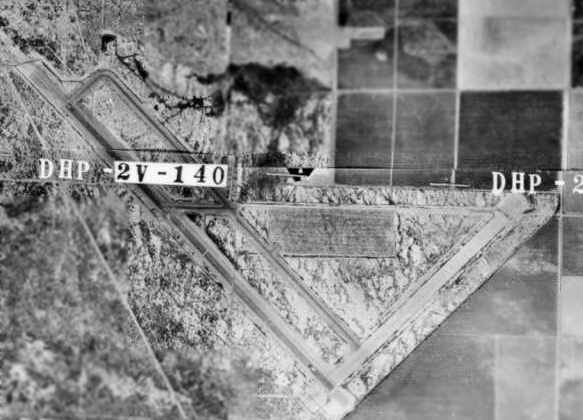 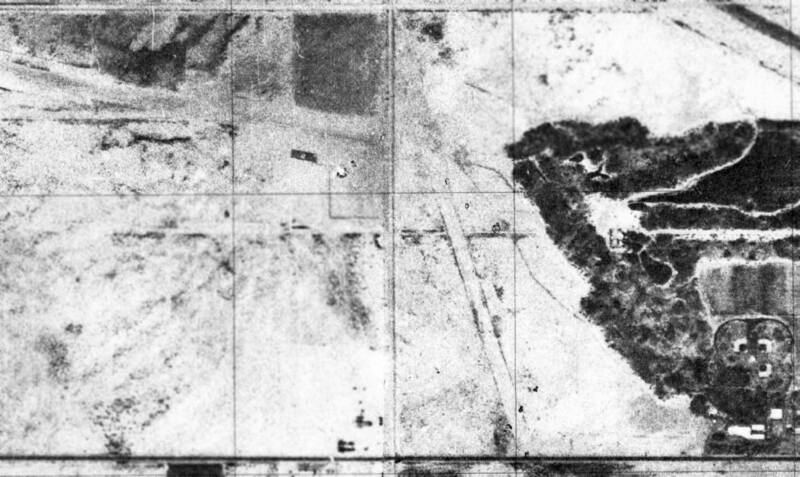 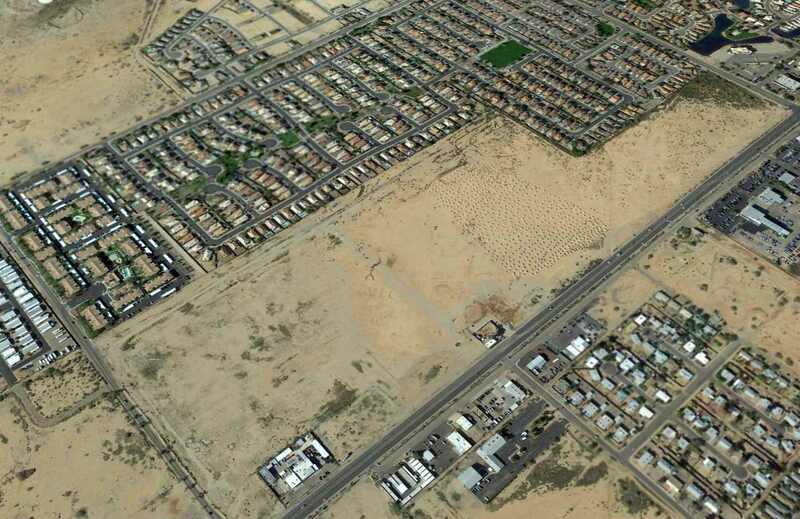 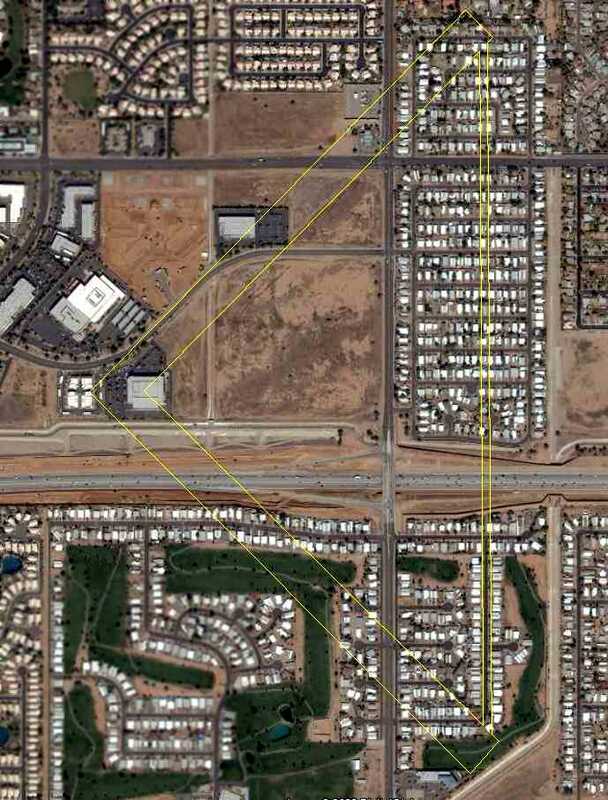 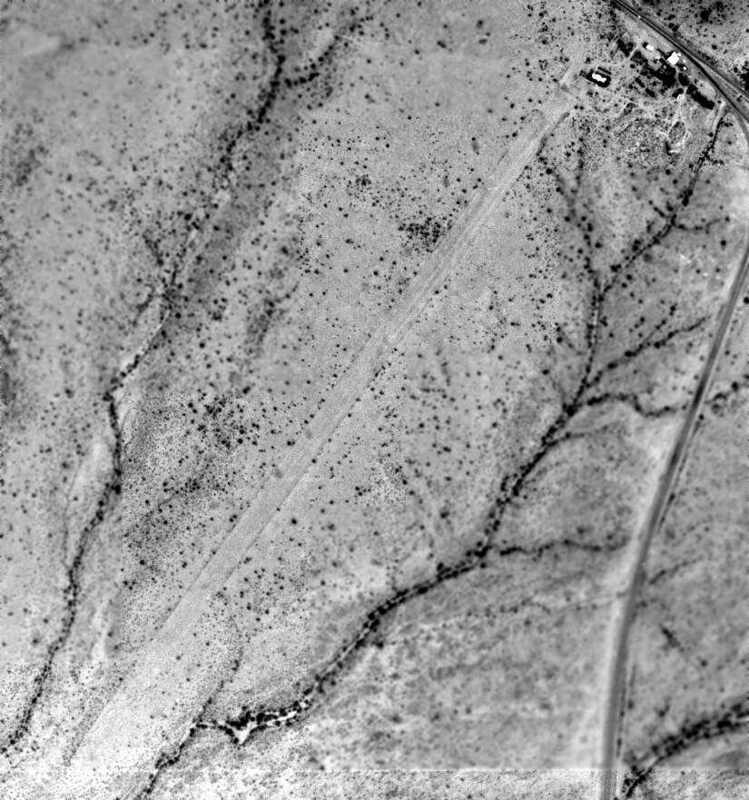 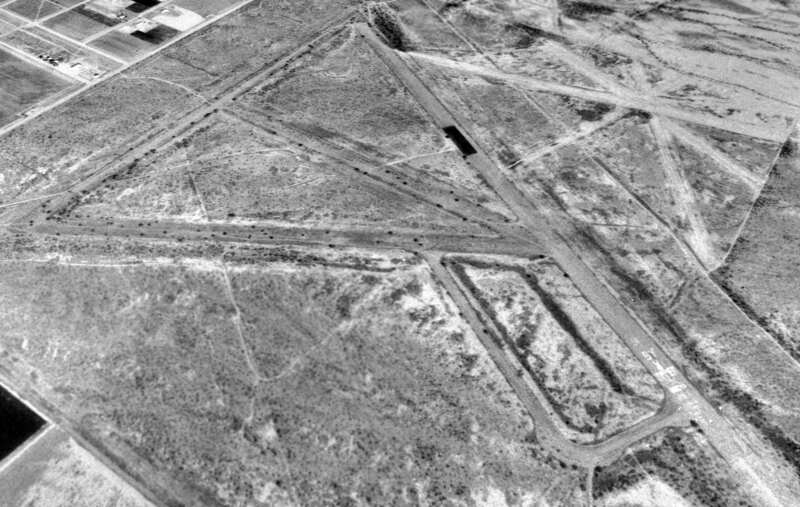 was a 2/17/49 aerial view (from the Maricopa County Flood Control District , enhanced by Bill Grasha). 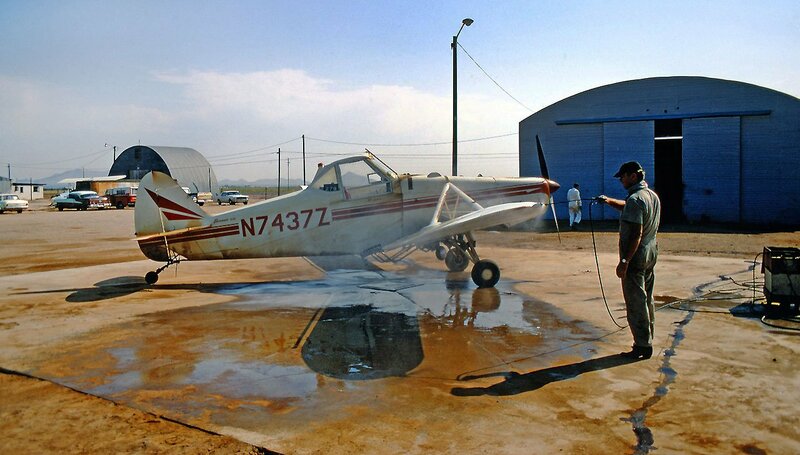 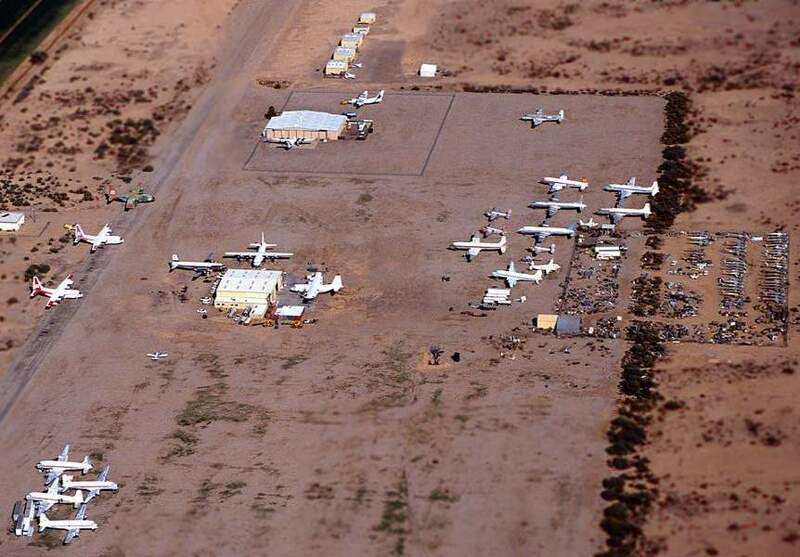 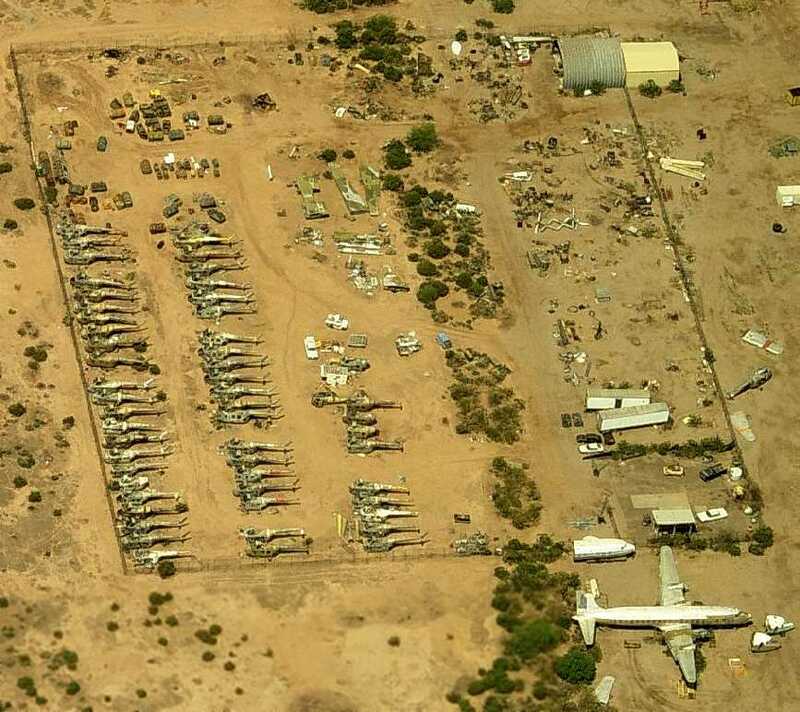 A total of 16 single-engine aircraft were parked around a few small buildings on the north side of the field. 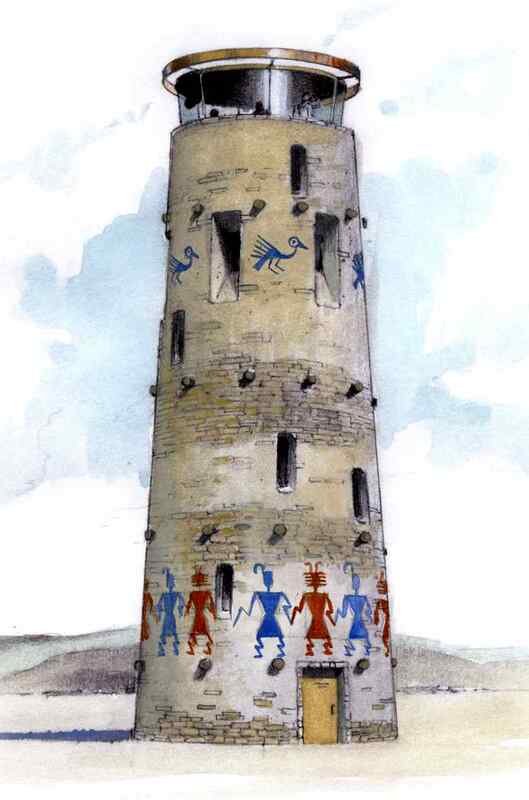 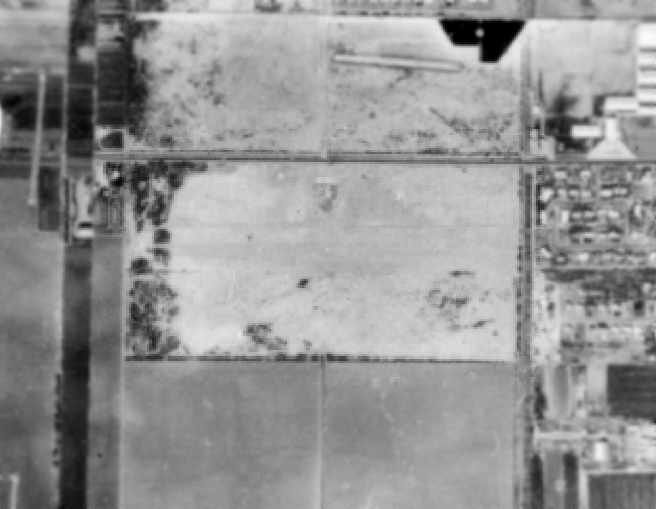 but overall the property appeared to have been razed. 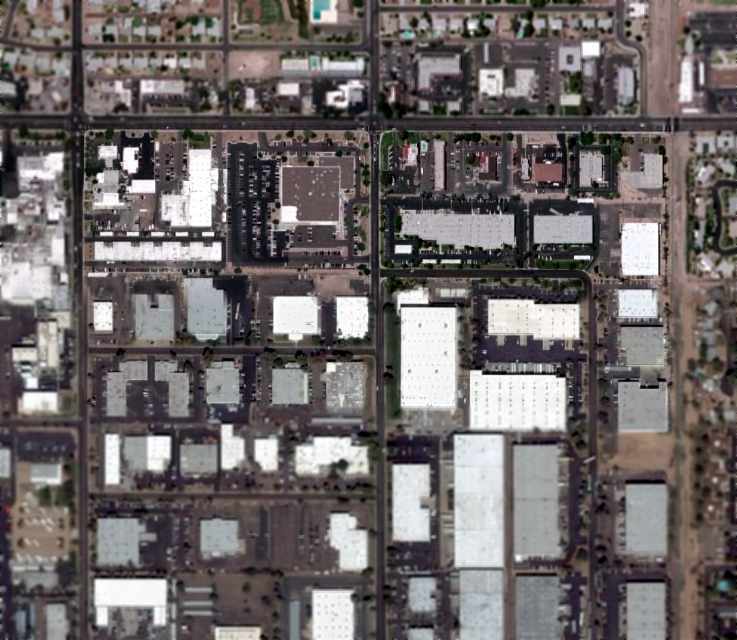 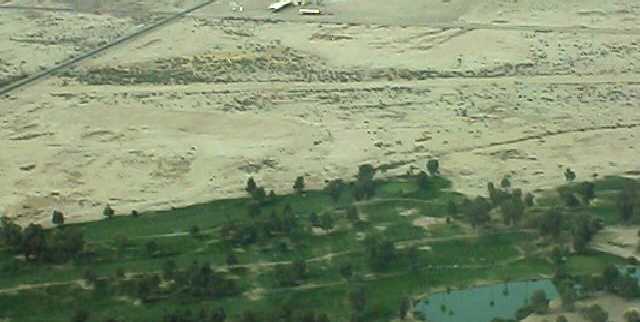 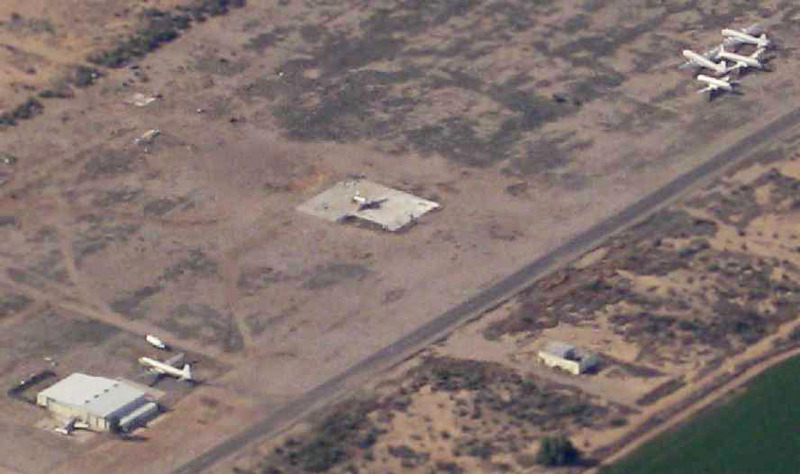 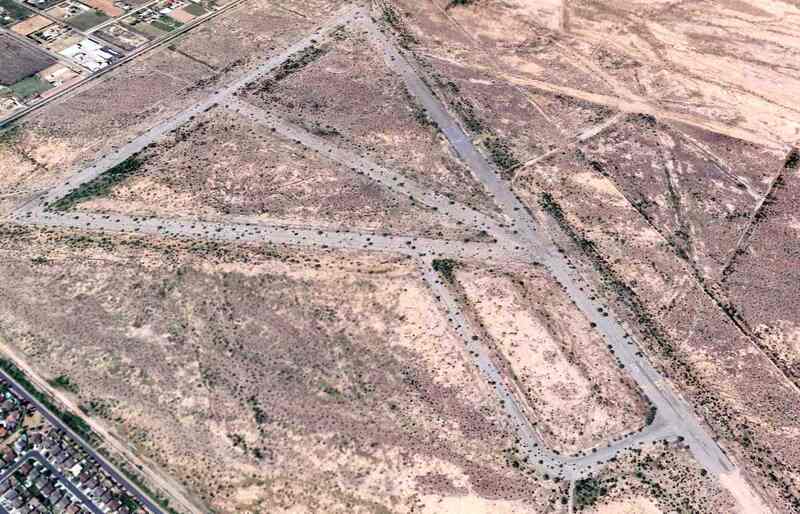 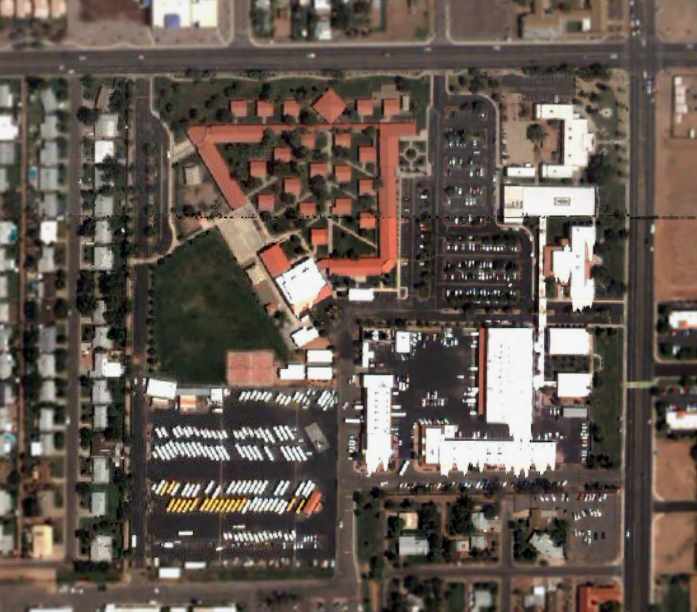 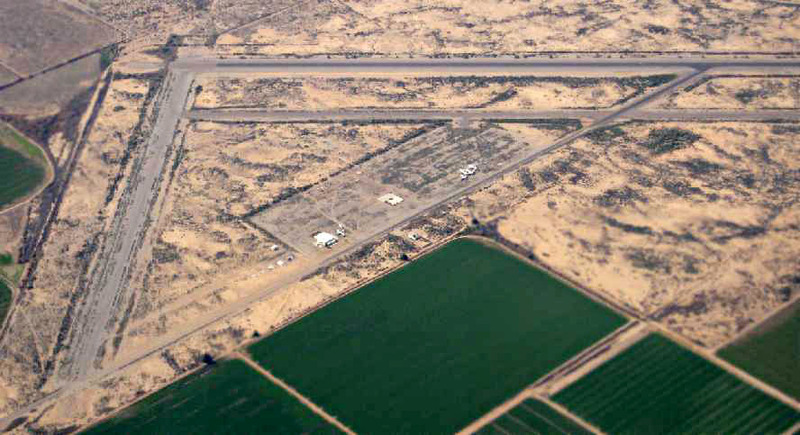 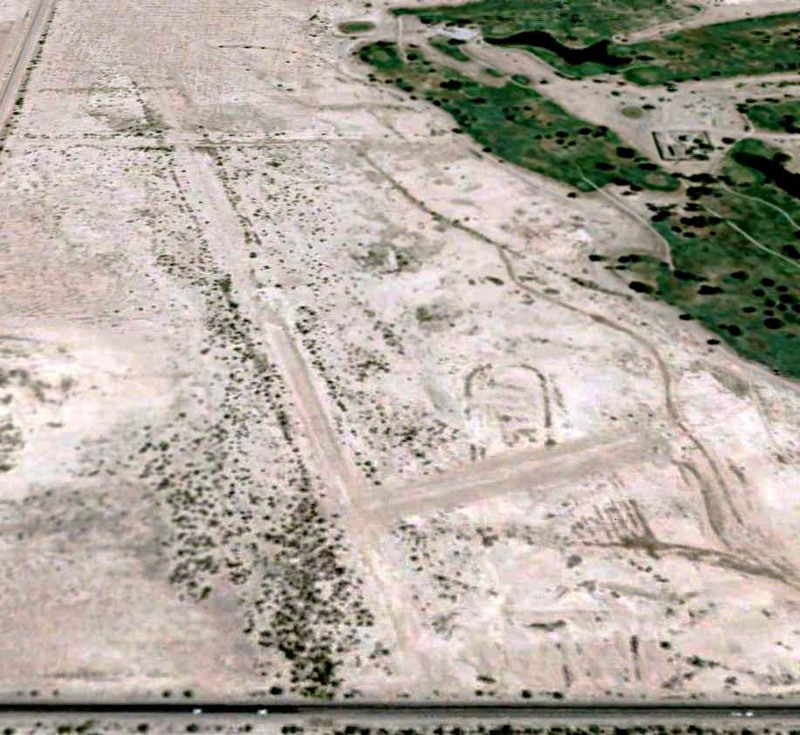 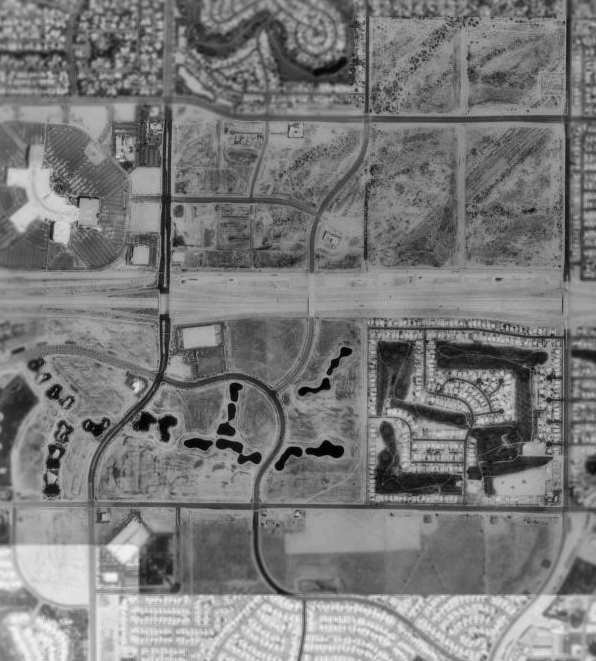 As seen in a 2007 aerial photo, the site of Tempe Airport has been heavily redeveloped, and not a trace of the former airport appears to remain. 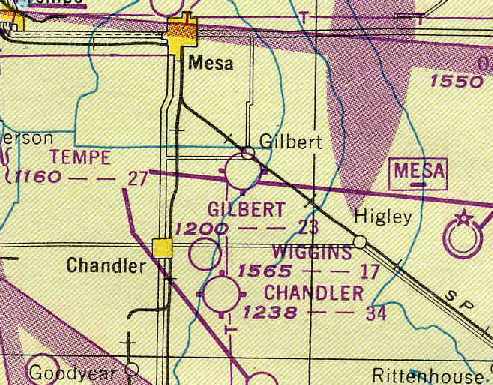 was on the July 1965 Phoenix Sectional Chart (courtesy of Ron Kunse). 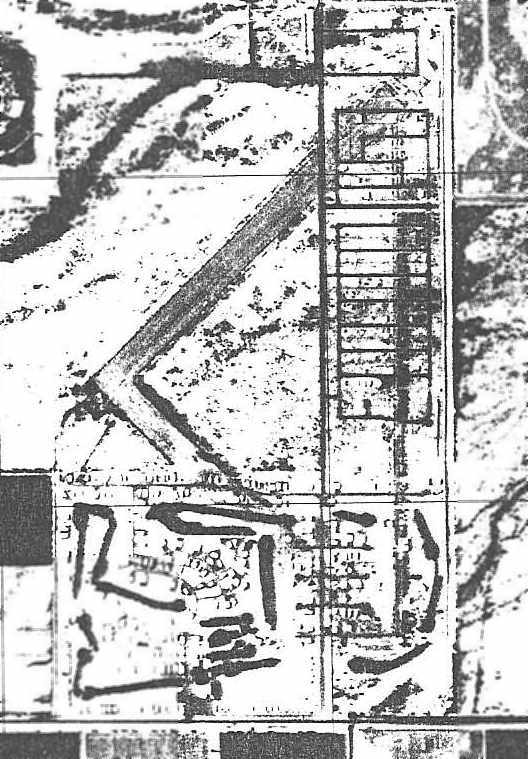 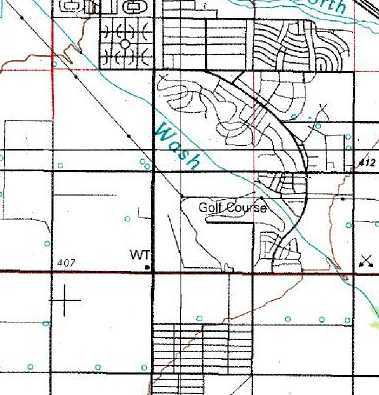 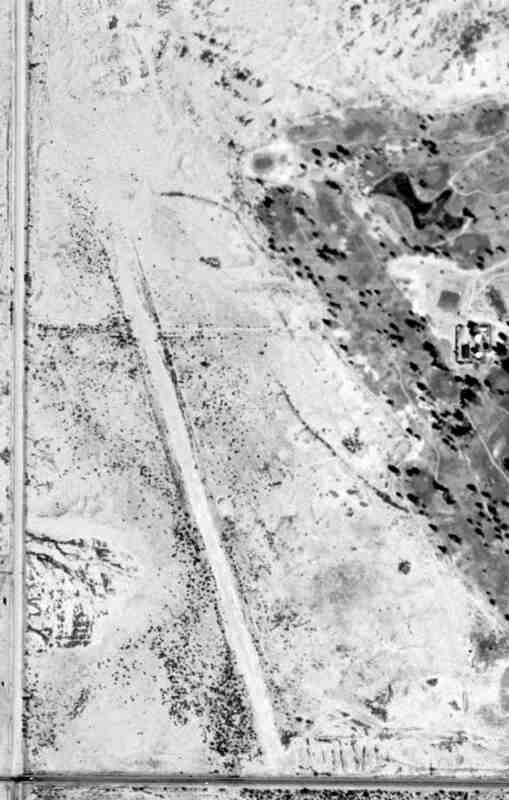 was a February 17, 1949 aerial view (from the Maricopa County Flood Control District). 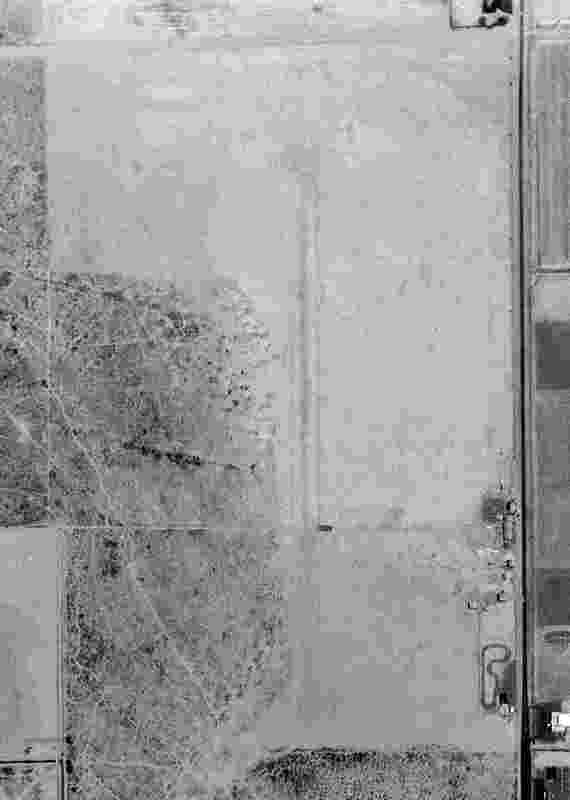 the outline of a northeast/southwest runway was still barely perceptible in the northeastern portion of the photo.